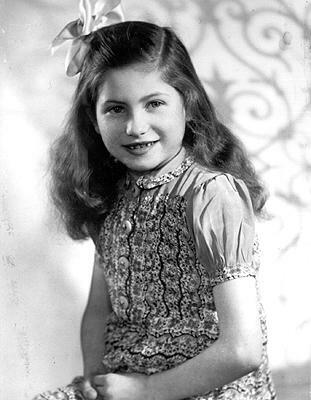 Holocaust Survivors: Photo Gallery - "Jeannine Burk at Age 7"
Jeannine Burk was a hidden child. The Hidden Child Foundation/ADL publishes a newsletter for and about hidden children. It has a page, "Looking For...," where hidden children advertize to locate missing family members. Other articles are memoirs by hidden children. The newsletter is available by calling 1-212-885-7900, writing The Hidden Child Foundation/ADL at 823 United Nations Plaza, New York, NY 10017, or by contacting its Web site at WWW.adl.org.